The Powerhouse Racing XTM Oil Filter Relocation Kit is the next level of relocation for the 2JZ engine. It features a billet block adapter, billet oil filter mount, -12 lines, oil filter unions for the block and filter, and mounting bracket. We designed this system for the ultimate in flow when relocating your filter. The 12AN lines are an increase of 225% in volume over -10 lines. The billet adapters feature large transition areas to maintain flow and decrease restrictions as oil flows from the block to the lines to the filter and back again. 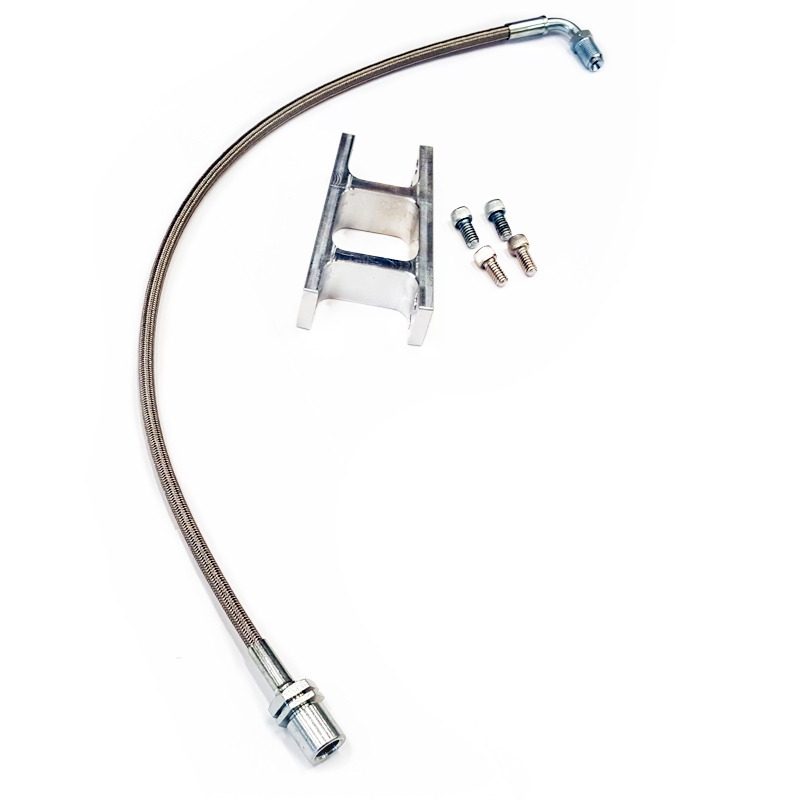 This kit mounts the oil filter low and near the transmission bellhousing where the filter is easy to reach, and easy to clean up. Far better than the factory location where it is difficult to reach and oil dumps all over the steering rack and subframe. This vastly helps in keeping your engine bay clean and the bushings on your steering rack in good shape. You will need an additional adapter and replacement clutch line in order for your oil filter mount to clear the factory slave cylinder. They are pictured below. Please select the option to add this to your order. Note: Although this kit works fine with the factory oil cooler, the advantages gained in flow are negated by the restrictiveness of the factory oil cooler. You would be better seved to eliminate the factory oil cooler and run this kit only, or run the PHR 40 row front mount oil cooler along with this kit.